If you’re on the hunt for the best chili recipe ever, look no further! 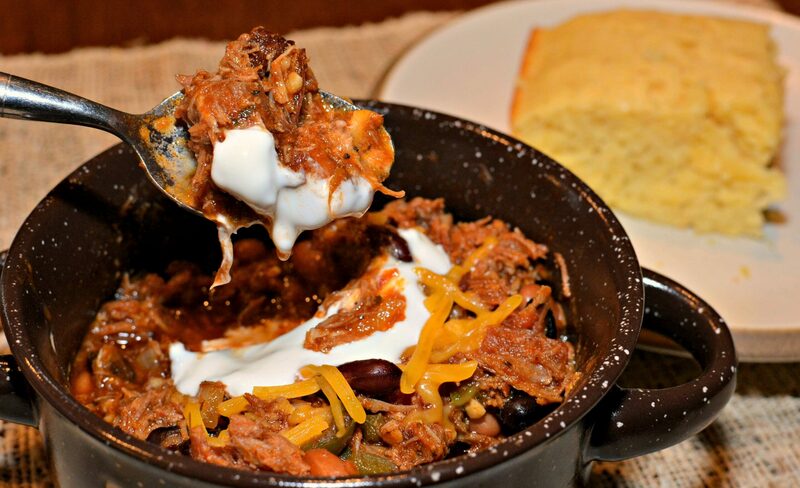 This chili is loaded with bacon, beef, beans, and more!! As you may know, I bought an Instant Pot a few months ago and have fallen head over heels in love. Seriously! Game changer…..and I don’t say that “just because”. I say that because on those nights where I would have typically told my family we were having something simple like a breakfast dinner or “you pick your own”, I am able to take that little bit of energy I have and still produce a meal that looks/tastes as though I spent tons of time in the kitchen! Chicken Noodle Soup, Zuppa Toscana, Macaroni and Cheese (my kids favorite), Pasta e Fagioli, and more!! Last weekend, it was perfect chili weather! 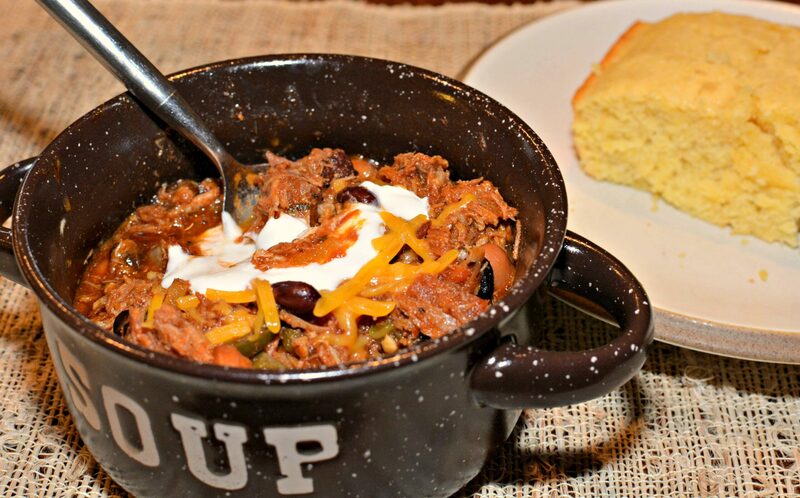 My go to chili has always been my Game Day Chili, however, a few months ago, we had chili at our neighbors house and it was amazing. It made me start tweaking, changing, and adapting my recipe to really enhance the flavor! The icing on the cake was when I thought to make it in the Instant Pot. Again, game changer because it took the cook time down from several hours to about 30 minutes! Since my hubby typically smokes a lot of meats such as pork, brisket, ribs, etc., we had a ton of leftovers in our freezer! This recipe calls for beef, however, if you want to add ground turkey, pork, or brisket, feel free to make it your own! 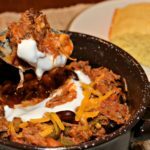 This chili is filled with meat, BACON, beans, tomatoes, peppers, and seasonings that definitely make this award winner. Well, at least in my house! Its a dump and go kind of meal that leaves the Instant Pot to do all the work! Throw this together on the weekend and enjoy the leftovers throughout the week! If you have people over, go to a potluck, want a meal to freeze for later, or are just looking for good ol’ comfort food, I highly recommend trying this! I paired ours with my tasty Knock Your Socks Off Cornbread and even my kids scraped their bowls/plates clean! This flavorful chili comes together in no time using the Instant Pot. Packed with meat, beans, seasonings, and more....this is one dish you don't want to pass up! Turn the Instant Pot to saute and add the bacon. Cook until crisp. Once cooked, remove from pot and place on paper towel to absorb grease. Add the onions and pepper to the Instant Pot and saute until tender. Add in the meat and cook until no longer pink, drain grease. Add remaining ingredients to the pot as well as the cooked bacon. Stir to combine. 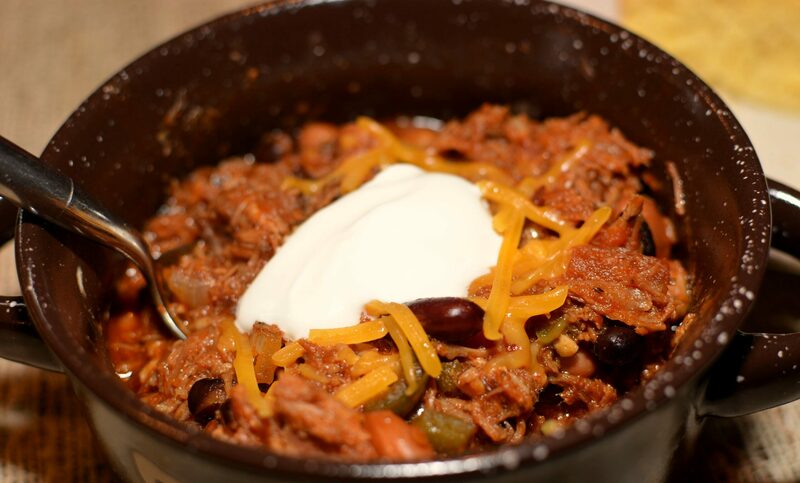 Turn the Instant Pot to the chili function and allow to cook for 20 minutes. Make sure valve on top is to sealing position. Once cook time is completed, allow a natural pressure release for 15 minutes, followed by a quick release to release any leftover pressure. Remove lid and stir chili thoroughly.